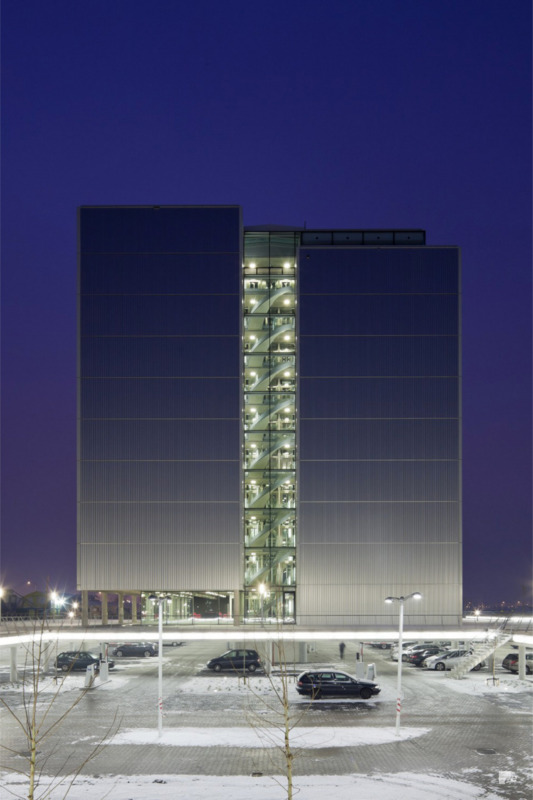 An extensive balustrade system was needed for a large existing staircase in Rotterdam’s Port City buildlng. 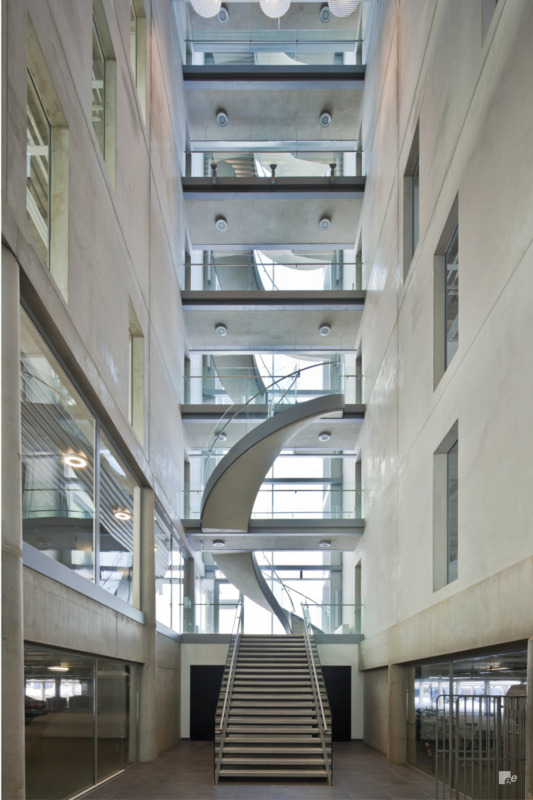 The balustrades, which feature curved glass, run across the entirety of the grand helical staircase which is visible from the building’s exterior. 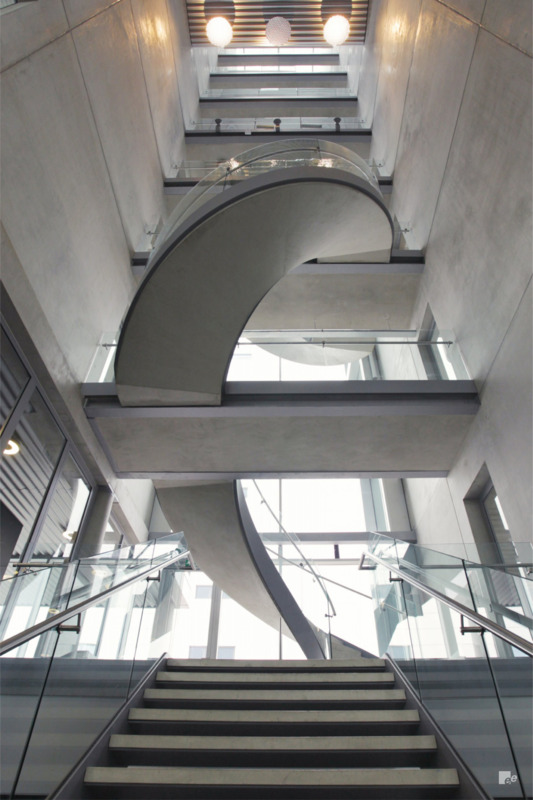 EeStairs adopted a unique approach to this project which involved curved glass being mounted on a metal rail connected to the concrete staircase to ensure ultra-safe installation. 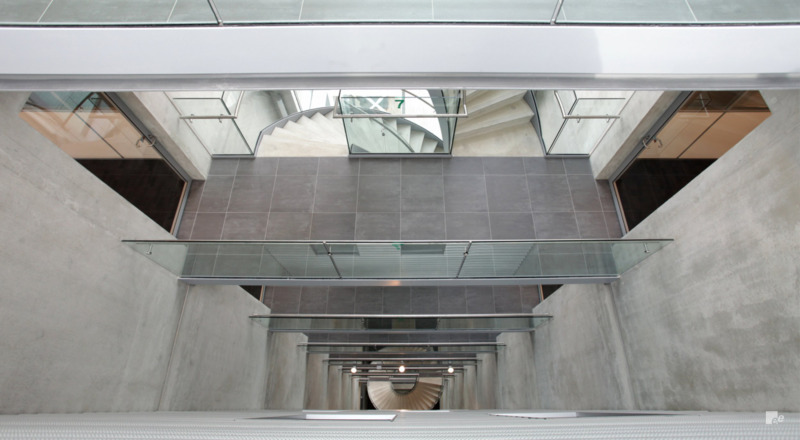 "We were looking for a partner who could create transparent balustrades of curved glass, which proved to be a difficult task for many companies. 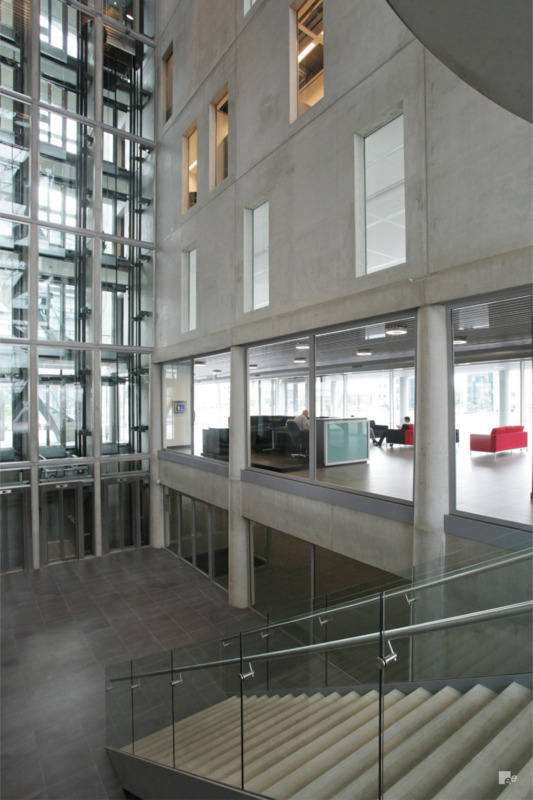 One of our glass suppliers mentioned EeStairs, and together, we provided a beautiful solution that fits perfectly with the overall appearance of the building."